Cryypto.com is a Community Centric Token Trading platform with a profit sharing model with its members. Cryypto.com is driven by the highly experienced team of cryptocurrency experts who have had several years of experience under their belts with leading the technical efforts at some of the largest cryptocurrency exchanges in China and Europe, to evangelists in the crypto world. At the heart of Cryypto.com is highest security, reliability, and revenue sharing mindset. It strives to overcome the shortcomings of rival crypto exchanges that have repeatedly caused severe losses for issuers and token holders. To achieve this, the team relies on its advanced knowledge of cryptographic technology, its operational in-depth understanding of the crypto world, and a strong company culture committed to security and compliance.At the core of Cryypto.com’s business model is the community revenue sharing model. Gone are the days where an exchange will gobble up hundreds of millions of dollars in fees alone. Cryypto.com changes that. With 80:20 split between the community and Cryypto, it is one of the first trading platforms to create a truly inclusive business model in the cryptocurrency world. Cryypto.com’s mission is to create a safe, fair, and ideal environment for investors to invest, traders to trade and manage their digital assets, and startups to raise money for their projects by listing their tokens or coins on a trading platform without exorbitant costs. Cryypto’s innovative platform offers impartial and transparency for all transactions. Cryypto will fulfill the regulatory compliance obligation for data security, privacy, audit, and reporting of data in the most safest and fluid ways.Cryypto’s business model is to bring tokens to the masses without the frills. Without the limitations. Without the anarchy of a traditional exchange. Cryptocurrency awareness, ICOs, and IEOs are at a all time high in 2019. Trading platform and exchanges are the backbone of this newly found economy with over a Trillion Dollar market cap not too long ago. Cryypto plans on seizing this monumental moment in the blockchain industry. are here to stay. Hundreds of innovative and lucrative projects are launched every month, with one focus: Change the dynamics of our centralized world. Blockchain, Decentralization, and DAAPs are on the rise. Cryypto aspires to become the marketplace for such tokens and their backers to generate value. 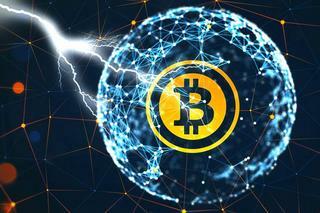 Whether a blockchain is powered by Bitcoin, Ether, or any other cryptographic protocols, Cryypto's business model is to allow such tokens to be listed on it's platform for free and offer incentives to the startup founders, their community, and ambassadors to exchange value in real time with each other. are also on the rise. It is Cryypto's intention to support this behemoth new market on it's platform and allow new startups to raise capital, whilst staying compliant with the regulatory bodies worldwide. Cryypto.com will list a careful selection of cryptocurrencies and tokens on its platform for free. Cryypto.com is truly a community centric Token Trading Platform. Right from profit sharing, to the running of its operations, Cryypto will be focusing on the community that rallies behind it. C0x stands for Cryypto 0x, a token based on ERC20 and the currency of Cryypto.com. The entire issued C0x base equates to the overall ownership of the Cryypto trading platform which adopts an innovative “Trans-Fee Mining” model. A total of 10 Billion C0x has been issued and will never increase. 51% C0x Tokens are reserved for the ‘Community Reward’. Meaning, 51% of the ownership of C0x is for the community. Cryypto will instantaneously distribute 80% of its revenue to C0x holders.In the future, C0x will be used for various operations on the site and will become the backbone of the platform. Buying and holding C0x will be a requirement for Cryypto’s white label partnerships in the future. Exchanges powered by Cryypto.com will require to hold a minimum 5,000,000 C0x in order to use the Cryypto platform. C0x Token holders will have various digitized rights in the Cryypto platform. The Cryypto trading platform revenue will be distributed to the C0x holders at a fixed proportion. Distribution proportion: 80% for C0x Tokens holders, and 20% for Cryypto’s development and operation team. 80% Profit Sharing to C0x holders daily Cryypto’s platform trading revenue will be distributed to C0x holders at a fixed proportion. 80% for C0X holders, and 20% for Cryypto.com’s development and operation. Voting rights for listing tokens on Cryypto.com The Cryypto community will have the opportunity to vote for tokens to be listed for trading on the platform. 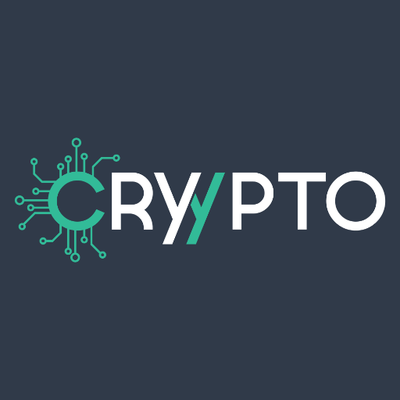 Participation in Cryypto Fund Investments Cryypto will give members of the community opportunities to invest in new startups, and as these projects develop, community members will get a financial return. This community reward mechanism utilizes Cryypto’s innovative “Trans-Fee Mining” model, in which Cryypto regularly rewards community members in the form of a C0x Token, Cryypto’s native currency. When members trade on the Cryypto platform, they receive 100 percent of their trading fees back in C0x. 51% of the platform’s total supply of C0x (10 billion) will be allocated toward community members’ reimbursements. Every “reward cycle” is 1 calendar day. The number of C0x Tokens allocated is based on the average C0x Token price given back or rewarded on the previous cycle. Cryypto.com is first and foremost a Token Trading Platform that focuses on the token trading niche. Demand for tokens, popularity of ICOs, and global increase in interest in the cryptocurrency space are perfect conditions for a Token Trading platform. For a limited time, Cryypto is holding a Pre Sale Event (PSE) to bring the C0x buying opportunity directly to the community. You can purchase the C0x Token during the private sale. The PSE will be held for a total period of 90 days and thereafter, the C0x Token will be listed on the Cryypto platform for trading along with Cryypto’s network sites. April 2019: Official trading opens with mainstream digital assets plus select tokens. May 2019: Presale Event concludes and C0x are issued. June 2019: C0x are officially utilized and traded on the Cryypto platform. 80% profits shared with C0x Token holders on a daily basis. 90% for long term holders. August 2019: Cryypto Fund officially begins to invest in blockchain projects. September 2019: Decentralized version of Cryypto launches in Beta version.